I escaped the “Noreaster” that hit New England this weekend. 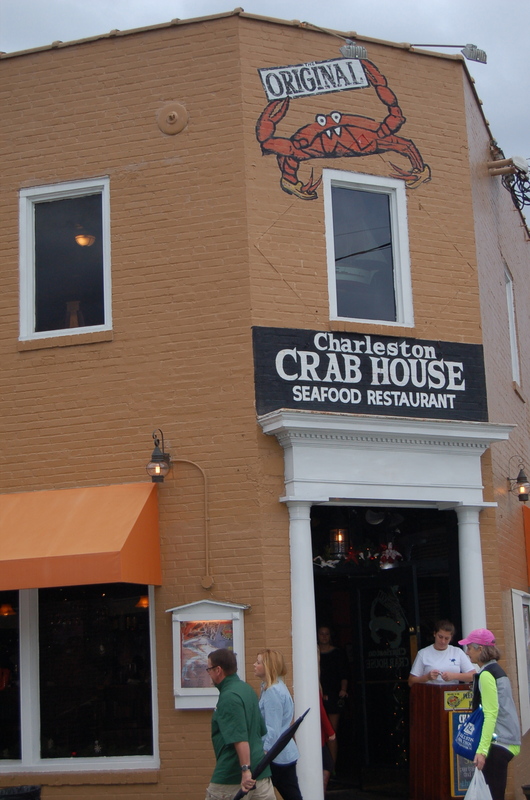 Friday night my doppelgänger sent me a ticket to Charleston, SC. Though I arrived late and exhausted, it was great to put on a t-shirt and smell the warm, damp south. Rain was forecast for the afternoon on Saturday so we got an early start. Steph took me to tour downtown before it got too wet. 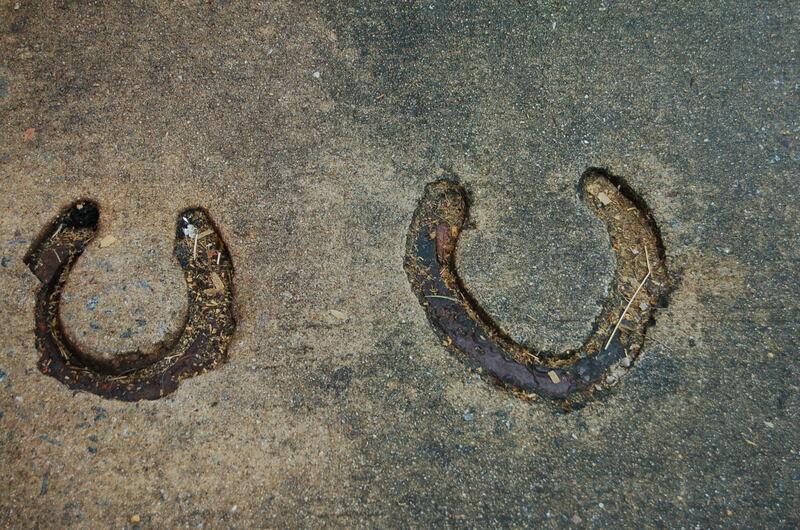 First stop for two equestrians was the carriage sheds. 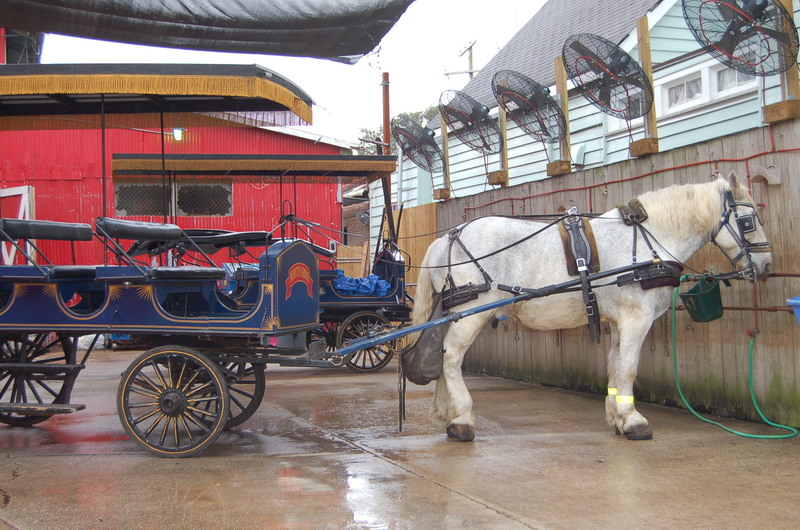 Charleston has a whole fleet of carriages to take tourists around the city. 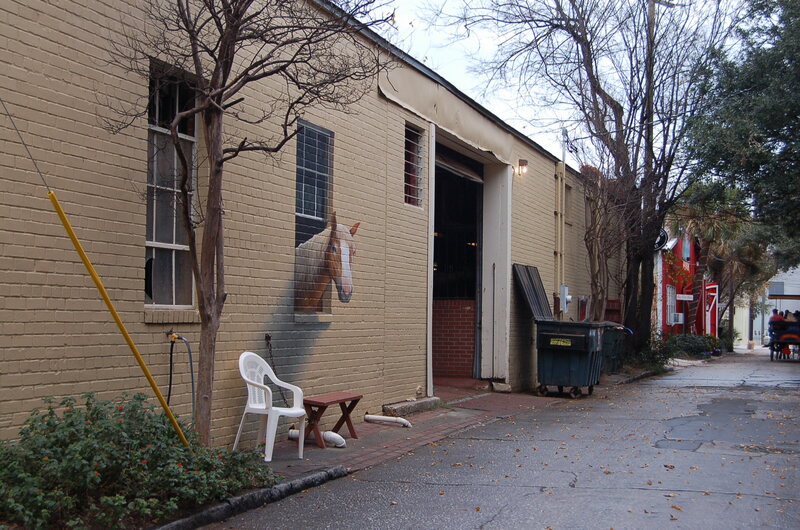 This painting of the horse looking out of the window was so realistic, I had to look twice! Just smelling the sweat and manure made us feel like we were home. 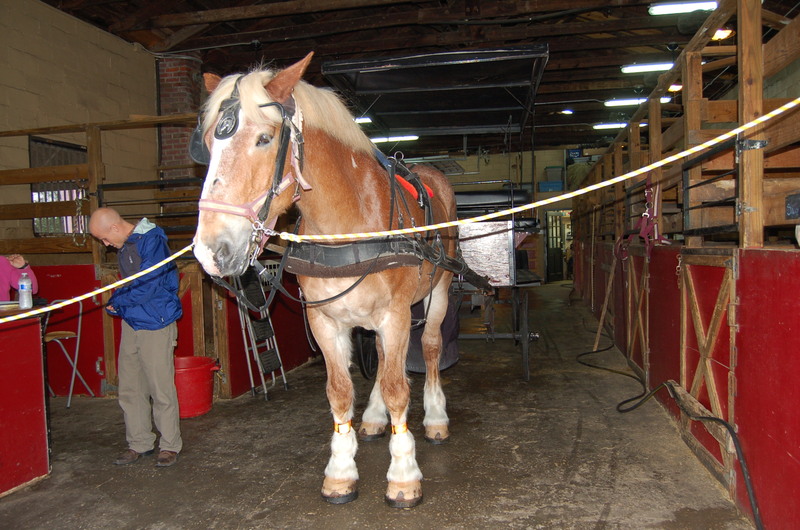 The carriage sheds are set up so when a team comes in from a tour, they walk through the building, are stripped of their harnesses and bathed, then put in stalls to rest and await their next tour. It reminded us of a car wash! From there we wandered around town. 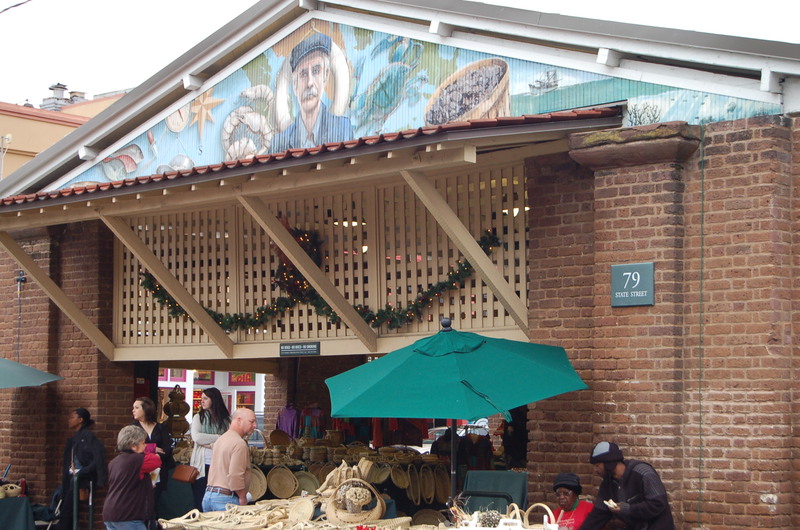 The French Quarter boasts the restored public markets. 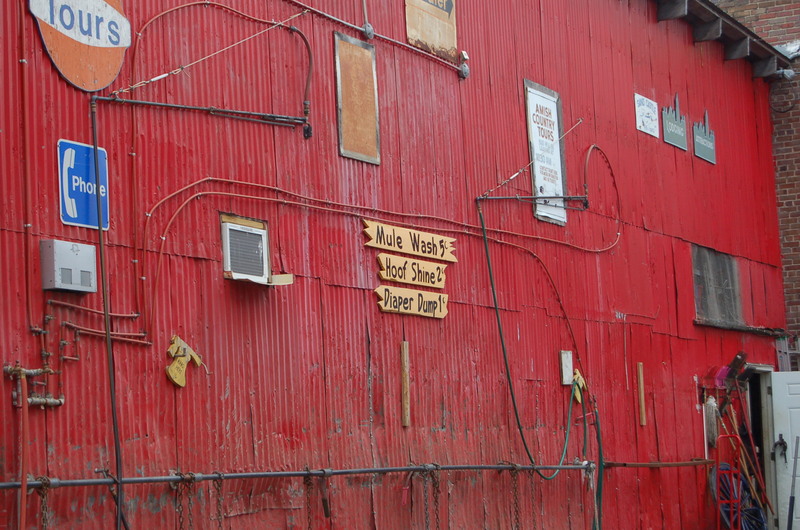 Originally, these buildings housed meat, vegetable and fish markets. 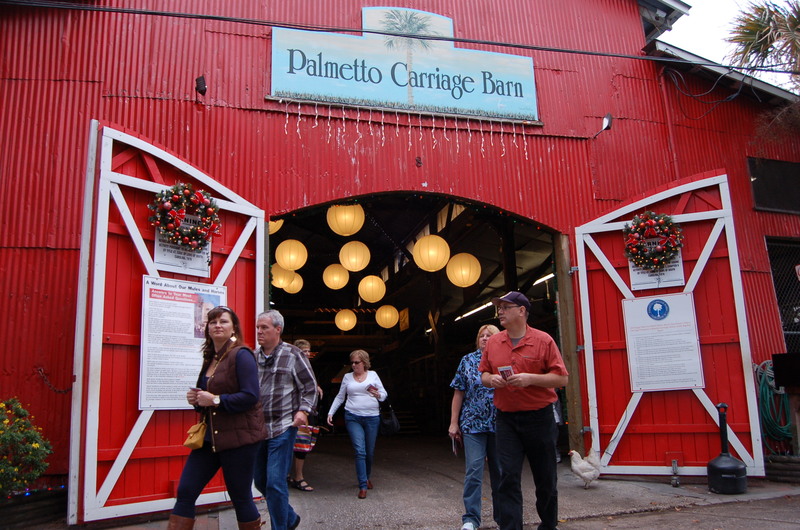 Today, the low, open stalls are filled with local crafts and products. 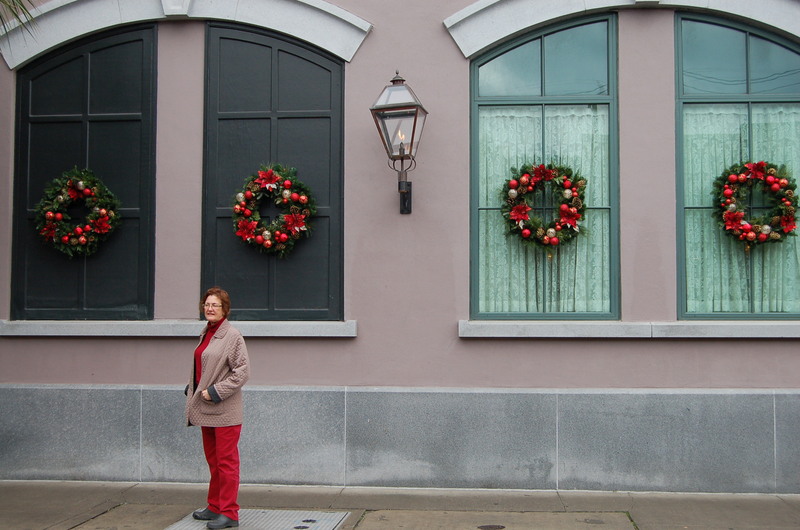 Gas Lamps and Wreaths abound! 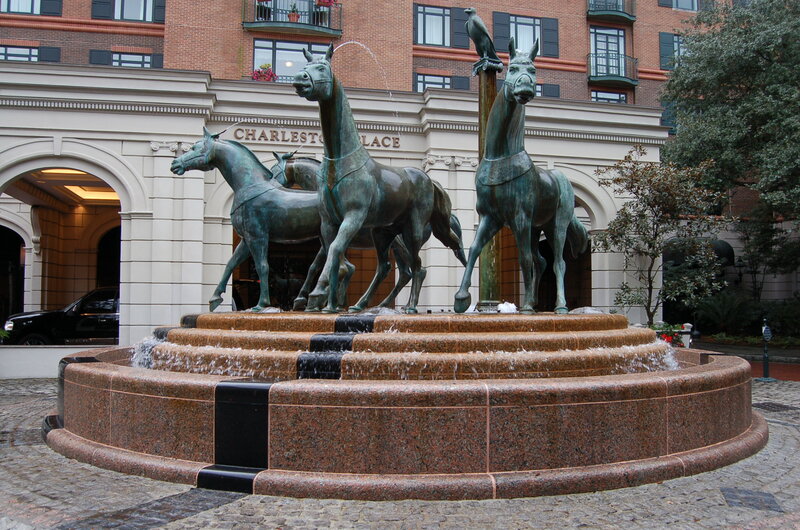 We could not figure out why there was water squirting out of these horses’ heads?! The College of Charleston was our last stop. The rain was just starting as we approached the entrance. 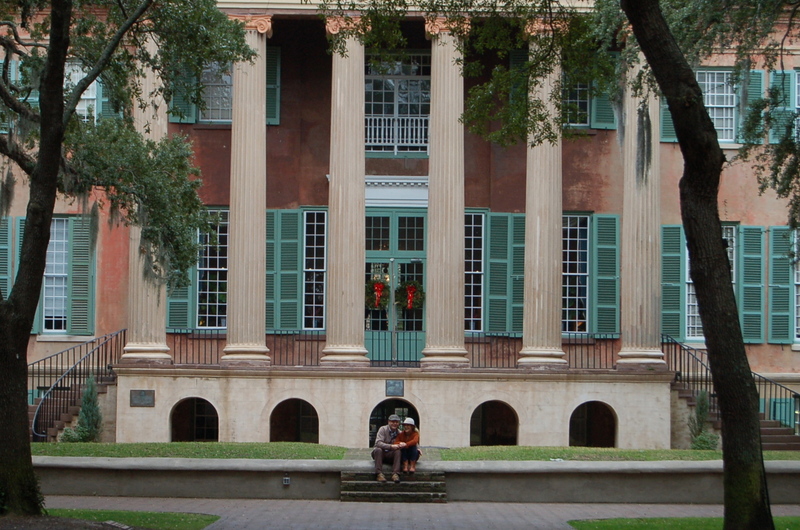 This institution is the oldest municipal college in America. 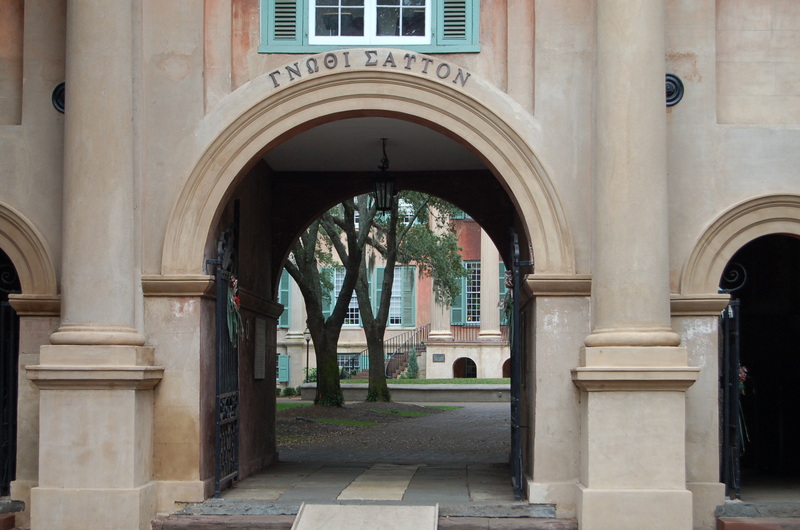 It was founded in 1770 and reorganized as a city college in 1837. 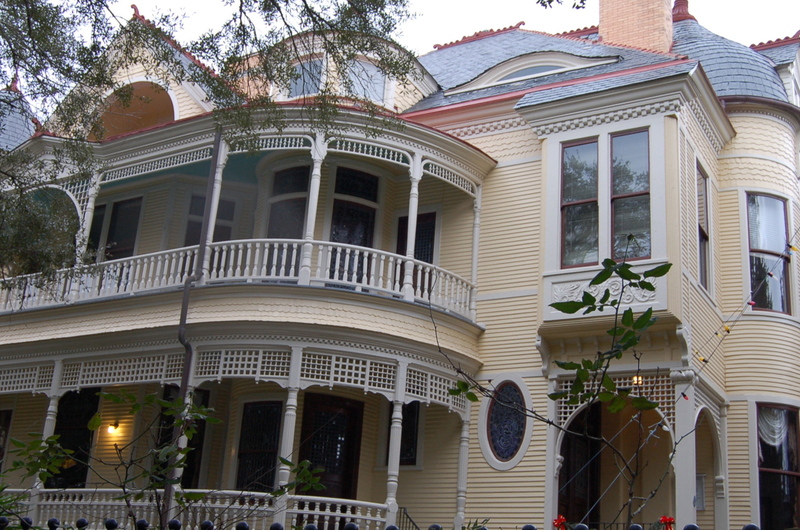 The architecture was lovely; soft pinks and greens, old brick and arches. 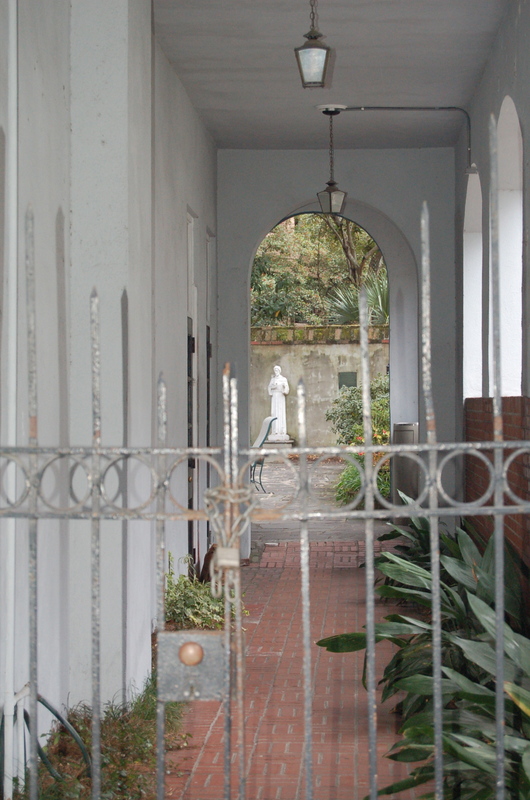 As we entered the main courtyard, I noticed a couple sitting on the steps, locked in conversation. We approached and I asked if I could take the shot. The woman said, “Only if I can tell you our story.” Angela and Rodney were visiting the city from North Carolina. Rodney had bought the trip for her birthday. 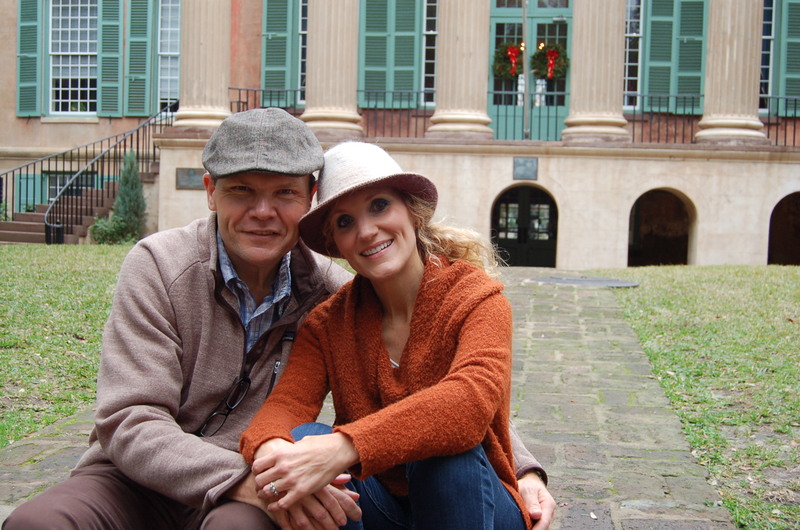 The day before, they were on a carriage ride and when it stopped at the entrance to the college, she had hopped out to take a photo in the courtyard. 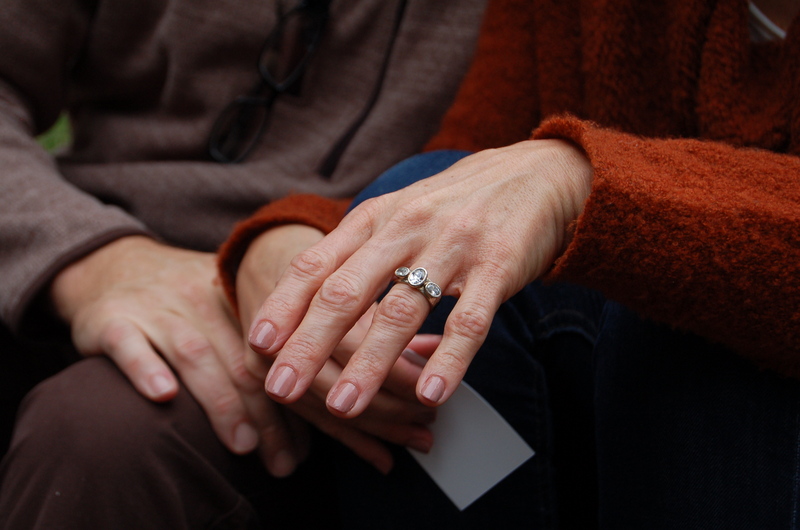 She turned and Rodney was on one knee at the entrance with a lovely ring and a proposal for marriage. This entry was posted in Uncategorized. 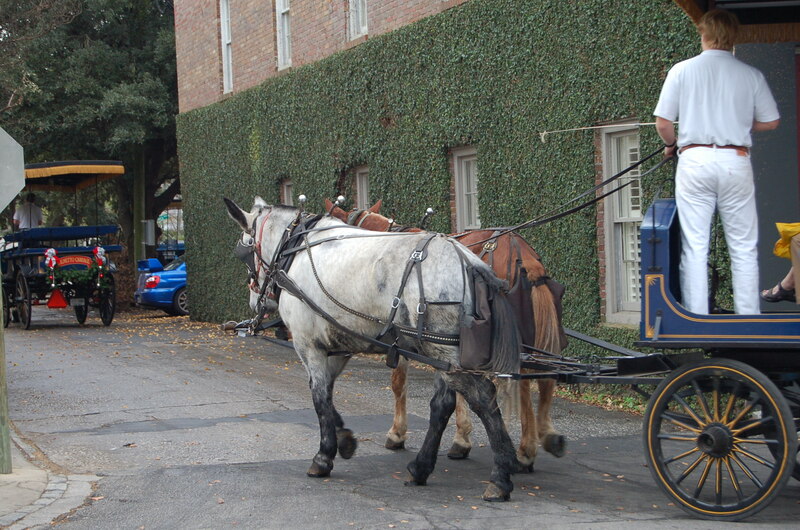 Tagged carriages, Charleston SC, christmas decorations, College of Charleston, markets, Travel. Looks like you are having a wonderful time! 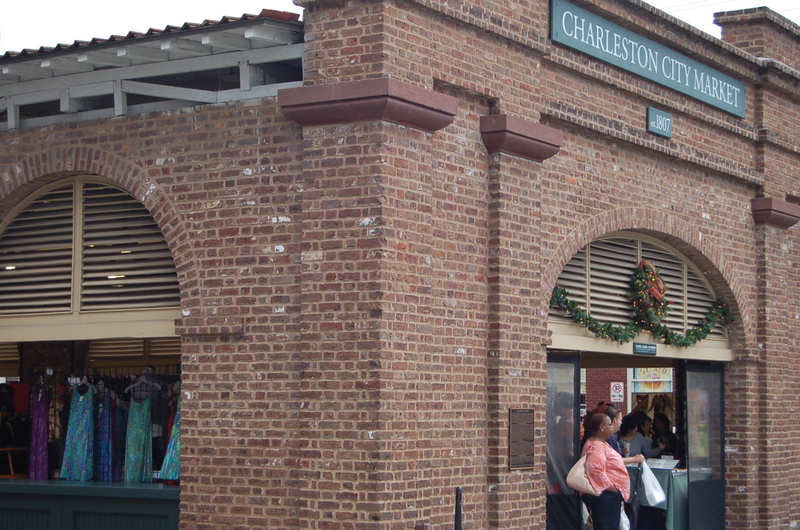 I haven’t been to Charleston in over 40 years. I’d love to go back and tour it now. Thank you for the heads up on some not to miss places when I get there! Have never been here before but I have to say, this is a city I would love to visit again. So much to see, great food, wonderful people and the weather can’t be beat!! The horse painting is amazing. I thought it was real too! What a wonderful city and so lucky to see it with a dear friend! Thanks Terri, I LOVED the city and was so lucky to be able to see it with a friend of 30-odd years. I came home to 2 feet of snow so the memories of Charleston are that much sweeter! !